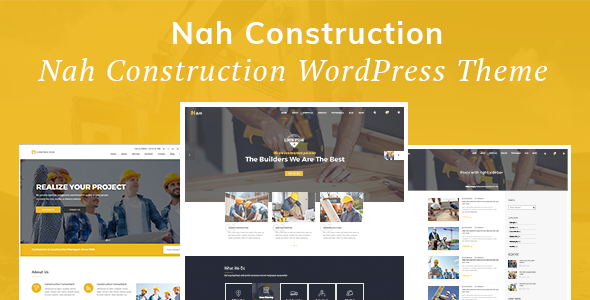 NAH Construction is a construction based WordPress Theme. This theme is specially designed for Construction Company, construction, engineering, architecture website. There are 4 different Home page version and 4 Header Styles, typography options, smooth WooCommerce integration,creative portfolio showcase, unlimited color schemes. It’s a creative and unique designed theme.